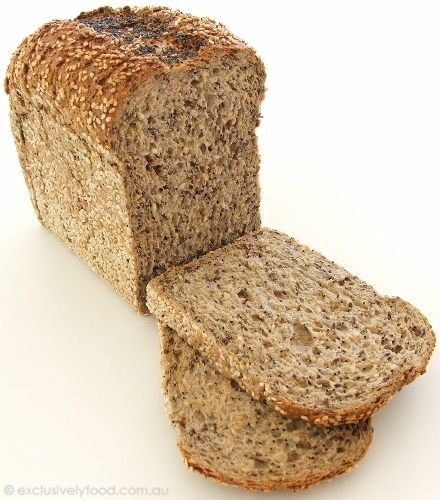 Thanks to Bakers Delight, we have nine Cape Seed Loaf (regular size) vouchers to give away. What would you put on your Cape Seed Loaf sandwich? If you comment anonymously, please leave your email address so we can contact you if you are a winner. We will select our favourite responses and post the winners' names on this page by 30 August 2010. The competition is open to residents of Australia only. Unless selected as a winner, entrants will not receive any correspondence from us as a result of entering the competition. Chance will play no part in the selection of the winner. The competition commences on 15 August 2010 and closes at 11.59pm AEST on 23 August 2010. There will be nine winners, who will each receive a $5.00 voucher for one regular loaf of Bakers Delight Cape Seed bread. The winners will be published on this page within seven days of the competition close date. If a winner cannot be contacted within two weeks, another winner will be selected. Congratulations to the following nine winners who will each receive a $5.00 voucher for one regular loaf of Bakers Delight Cape Seed bread. dougie22, please email us with your postal address so we can mail your voucher out to you. Thanks to everyone who entered the competition. The sandwich fillings all sounded delicious and we had a hard time deciding on the winners. I would keep it simple with smoked salmon, cream cheese, capers, and lettuce - my favourite! Thanks for your entry! Could you please email us, leave your email address in a comment, or make your profile publicly accessible so we will have a way to contact you if you win. My sandwich would consist of sliced roast chicken, avocado, shallots, whole egg mayonnaise and freshly milled pepper. This sandwich is delicious. I'd have guacomole dip spread on the sliced loaf, smoked salmon, avocado slices, 2 slices of cucumber and a thin spread of wasabi paste. The best would be a slice of ham topped with your beaut coleslaw. Avocado, sundried tomato and proscuitto, try it! Chop up some cooked chicken, mix in some whole egg mayonnaise and about a tablespoon of fresh chopped thyme. Place on a buttered slice of Cape Seed Bread, a thick layer of iceberg lettuce and another slice of buttered bread. Simple but tasty and you can enjoy the creaminess of the seeds - yum! Cream Cheese, turkey breast, cranberry sauce and rocket - love it, love it, love it - especially on Cape Seed Loaf! I would have it with lettuce, spicy potatoes Indian style fried with onions and topped with tomato slices and cream cheese. I'd layer some sliced cucumber, some chopped cooked chicken mixed with dijonnaise and lots of black pepper, and then some crispy cos lettuce leaves on the top. Slice, eat, YUM!! However, this bread deserves something special. Take some sliced ham, slather with cranberry sauce (the type with whole cranberries is the best), place some slices of room temp Camembert cheese on top and freshly grated black pepper over the top. Enjoy! With the nutty, seedy, wholesome flavours of the bread, I would definitely go for a sweet sandwich. Cream cheese, slices of dried apple and a sprinkling of dried cranberries or sultanas. In this cold wintry weather, I might even toast it so it's hot and melty and delicious. and of course full cream salted butter! Sometimes the only thing that matters is the taste! I just love Cape Seed bread and I would be far too anxious to get into it - so forget the trimmings and just go for butter (butter not margarine) and crunchy peanut butter. Simple - Rocket, boccincini, vine ripened tomatoes with cracked black pepper (sometimes toasted. Brings out the nutty flavour just that little bit more). A big sandwich - but full of delicious and fresh goodness! I spoil myself by putting avocado and smoked salmon on cape seed loaf but really, eating it fresh with just a scraping of butter is pretty special too. Hmmm.. grated carrot, mignonette lettuce, salami, Maasdam cheese, homemade tomato chutney and Greek yoghurt. YUM! Being Greek, I would add some fresh Tzatziki,iceberg lettuce & some sliced lamb kofta. Top it off with fresh pepper & salt. Yum! Ham, cheese, mustard pickles, mayo, lettuce and beetroot! I'ad brush with some Extra Virgin Olive Oil, Salt and Pepper to season - then add fresh Spinach with sliced mozzarella, Roasted red capsicum strips, sliced black olives dash of of oregano, and parsley and of course. Yum! I'd smother that beautiful bread with roasted vegetable and falafel along with tomato pesto, salad leaves and hummus. Out of this world. Just butter so as not to spoil the flavour of the nine grains and seeds. Plus the added extras, so healthy indeed.